Innovative Office Solutions is the proud sponsor of the Charity of the Month program in partnership with the Minnesota Wild. The program brings exposure to a different Minnesota Charity each month throughout the NHL season. The Minnesota Wild Charity of the Month for April 2015 is Simon Says Give. SSG engages kids who want to be involved in helping others. Their volunteer kids have the opportunity to provide celebrations and gifts – some necessary, and some fun – to children that would otherwise not receive them. The volunteer kids have the opportunity to use their special skills and talents to create fundraising events from which they can manage, learn and grow. To learn more – or to volunteer, enroll or donate – click here to visit their website. Not everyone gets the chance to grow up with 12 sibling! 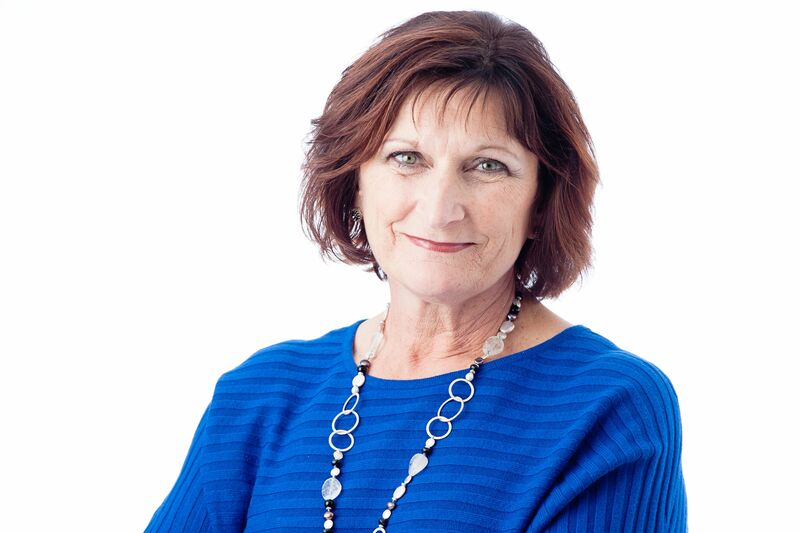 Coming from a family of 13, Janet one of Innovative’s Account Executives is our featured Team Player for the month. Janet has a zest for life and a love for collaboration. The Team Player grew up on a farm playing baseball non-stop. She always enjoyed being apart of a team. “Things were always chaotic,” but she thrived in the craziness. Growing up in a large family allowed her to gain independence and be perceptive of all people. Janet carries her team spirit outside of the office and into the community by volunteering her time to support the Breath of Hope. She participates in a summer walk in August to help raise funds to beat lung cancer. The Team Player’s Got Your Back! With March being the month of the Team Player – you know as well as we do that the Team Player has your back in the office. Whether it be refilling your company-branded water bottle, grabbing office visitors coffee, water, a healthy snack, or simply reminding you to drink enough throughout the day, the office Team Player understands the importance of hydration. We all know how important it is to stay hydrated especially during the summer months. But do you really know the full benefits of water? There are plenty of clear-cut benefits of water, but here we’re going to profile a few that stuck out to us. The following are a few simple benefits that you can expect to see after guzzling down your daily water consumption. First – plain water has ZERO calories, and no additives to boot. Sure, water is it is fairly boring when consumed by itself. If it is too boring fro your tastes, try adding lemon or mint. Not only will it ad flavor, but also the benefits of citric acid of the lemon and natural taste of the mint leaf. If you find yourself craving something specific during the day, it could be your bodies way of telling you it’s thirsty. So before you reach for that candy bar, refill your water bottle and see how you feel! You’ll feel better knowing this: Water can protect against certain types of cancer. Being that it aids in digestion and moving things along, it is great in preventing against things like bowel and colon cancers. Studies have shown that those who stay hydrated on a more regular basis are at a lower risk to these forms of cancer. According to Mens Health, a study conducted in France shows that increased water consumption lead to better moods. “Not only were people getting their thirst quenched, but also participants reported feeling less fatigued, less confused, and more satisfied overall with their mood at the end of the study.” And, on the flip-side, lowering water consumption lead to worse moods in those who normally drink large amounts of water. Dehydration is the loss of water and electrolytes, such as sodium, chloride and potassium, which are necessary for the body to function. When your body is lacking these essential nutrients, things can get wonky. If you find yourself suffering from frequent headaches due to low water consumption, drink more water! Drink 16 to 32 ounces and in an hour or two you should start to feel better. Cold water helps regulate your body temperature and, in turn, helps keep your sweat cells under control. So if you’re prone to excessive sweating, or are a gym rat, be sure to keep cold water handy. Not only will you be more comfortable, but you’ll be doing your body more good. Something less comfortable when it comes to ice water, but equally beneficial, are ice-cold showers. When you hop into a cold shower, your metabolism increases by up to 550% of its resting level, burning calories in the process. So be sure to find the Team Player in your office! Chances are their encouraging team work, monitoring hydration in company exercise classes, and just being an overall asset to the office! Our office persona for March 2015 is the Team Player – helping you stay productive and on track throughout the entire month! When it comes to keeping you less and less groggy during these first few weeks of daylight saving time, our Team Player is happy to provide you with all the necessary solutions you need to keep going! Like most of us, you may be suffering from drowsiness and grogginess thanks to daylight saving time. But – you’re not alone. In 1918 “Fast time”, as Daylight Saving Time was once referred, was first introduced when President Woodrow Wilson signed it into law to support the World War I effort. Robert Garland, a Pittsburgh industrialist who is often referred to as the “father of Daylight Saving”, spearheaded the idea after having encountered the idea in the United Kingdom. Having been repealed seven months later, some cities – including Pittsburgh, Boston, and New York – continued to use it until was instituted year-round by FDR in 1942. Our biological clock is unhappy with the time change. During the days and weeks before the time change, most of us awake to sunlight, which is your internal wake-up alarm. Sunlight stimulates our biological clock and activates other brain regions involved with maintaining homeostasis and wakefulness. However, because of daylight saving time, our early morning hours are filled with darkness and we may have more of an urge to “sleep-in.” Less daylight in the morning hours can pause the biological clock’s wake-promoting drive, causing a jet-lag-like feeling – making mornings harder than they are normally. Whatever your morning routine, these next couple weeks may be a bit more difficult because of the time change. But fear not – Innovative Office Solutions is happy to provide you any of the “go juice” needed to help you get up and happily greet the day! For the coffee lovers, we have k-cups and grounds galore. For the tea drinkers in the office, we’ve got all of the green tea you could ask for. And for those who prefer energy drinks, we’re stocked! So we know the effect daylight saving time can have on our internal clock and our sleep schedule – but what about energy consumption? We’ve all heard the rumors that it was originally used for farming purposes, but are we really saving, well, anything with daylight saving time? With residential electricity output heaviest at night, the idea of daylight saving time is to quell energy use. It makes sense in theory – wake up earlier, more daylight at the end of the work day and into the evening, equalling less energy used. But does it really save as much energy as we think? Some studies show there is little proof that daylight saving actually saves energy. A study between two Australian states – Victoria and South Australia – showed that daylight saving did help reduce energy use in the evening. However, energy usage in the mornings increased – negating any energy saved the previous evening. So that begs the question – how much energy are we saving? Furthermore – should daylight saving continue? It doesn’t seem like daylight saving time will cease any time soon. However, there are further steps you can take to help reduce your energy output, stay energized, and help get back on schedule during these first few weeks of daylight saving time. Because the time we live in is so reliant on power, Innovative Office Solutions is your best bet when it comes to keeping your office running as productive as possible. 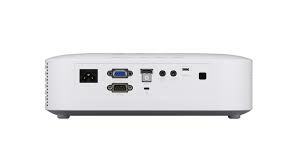 Everything from battery and device chargers, to energy-efficient projectors and printers. Even without daylight saving time these devices will save you the hassle – and the money – in the long run. Let Innovative be your single source for all your office needs. Join us and become a Team Player in your workplace! in 99 different cities across the U.S. and Canada. Prior to working with Innovative, each Great Clips trainer was responsible for the production of their training materials through local sources as well as a couple of different vendors. Great Clips recently transferred responsibility of all training center copy needs to Innovative’s print on demand solution. Before working with Innovative, the ordering and receiving of their materials were managed by multiple vendors which was cumbersome and costly. The shipping was sent by multiple shipments incurred for the same training sessions. The production took a vast amount of the trainers’ time. To update materials, Great Clips’ had to coordinate with 45 remote trainers and the quality and branding was inconsistent. After working with Innovative, the ordering and receiving of materials it is now single sourced at a competitive price. All session materials are combined into one shipment. Trainers are able to place orders online and receive shipping information and materials on time. To update materials, one file is to Innovative saving the trainers time and all materials follow brand and quality standards. With great efforts from Great Clips and Innovative a trusted partnership was created. At Innovative, we strive to make your workplace more productive! Innovative Office Solutions is the proud sponsor of the Charity of the Month program in partnership with the Minnesota Wild. The program brings exposure to a different Minnesota Charity each month throughout the NHL season. The Minnesota Wild Charity of the Month for March 2015 is A Chance To Grow. A Chance To Grow offers multiple programs and services to children and families with a diversity of needs. Based on an understanding of brain development and stimulation, A Chance To Grow’s interventions all have the same goal: to help all those they serve achieve their highest possible potential. A Chance To Grow offers nine integrated brain-centered programs and services all under one roof. Their holistic approach to developing individual programs for each client ensures a comprehensive experience at A Chance To Grow for children and families alike. Trained in the areas of speech pathology, occupational therapy, traditional and developmental vision interventions, auditory therapy, neurotechnology, elementary and early childhood education, their variety of specialists bring a tremendous amount of knowledge and care to every client’s experience. Each and every day, they are driven by an agency-wide passion for helping every person reach his or her highest possible potential. For more information on A Chance To Grow, and to learn how you can help, visit their website. NEW Casio LampFree® Projector EcoLite – Could it get any BRIGHTER? Casio is back at it again! In today’s day and age, the more efficient and energy-friendly we can be, the better. Antiquated projectors and *gasp* overhead projectors are a thing of the past. Their upkeep costs too much, bulbs and body wear down too quickly, and they are just a general eyesore. 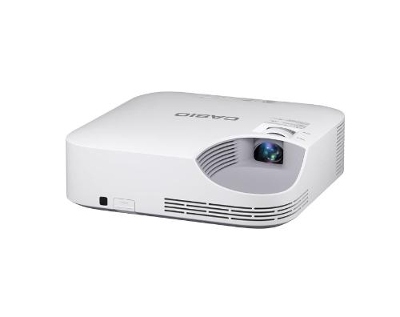 Their days may be numbered, however thanks to Casio’s newest projector technology, this technology device may be the solution you are looking for! In July 2014, Casio introduced the world’s first Casio LampFree projector and they didn’t stop there, they capitalized on this fantastic product. Fresh to the market, the Casio LampFree® Projector EcoLite XJ-V1 model is here. The EcoLite projector is powered by laser and LED Hybrid Light Source technology similar the Casio LampFree® technology with essential technology features. But here’s the beauty of it all, they have brought this solution to the marketplace at a revolutionary price point feasible for all users! Before this product is available for purchase in the next couple of months, we want to provide you with a sneak peak about this Eco-friendly projector. Contact our Account Support Coordinator Christina Boerigter for more information on the Casio LampFree® Projector EcoLite XJ-V1. Let us make your workplace more productive! Innovative Office Solutions is the proud sponsor of the Charity of the Month program in partnership with the Minnesota Wild. The program brings exposure to a different Minnesota Charity each month throughout the NHL season. The Minnesota Wild Charity of the Month for February 2015 is GiGi’s Playhouse. GiGi’s Playhouse makes a difference every day. Our unique points of difference empower individuals and their parents to achieve their greatest potential with confidence, independence, and joy. They have a “place”; and they will never let location be a barrier to success. They have “programs”: they will never let curriculum be a boundary to achievement. Most importantly, programs are free. GiGi’s Playhouse will never let cost deter families from participation or impede the achievement of children and adults. For more information, visit http://gigisplayhouse.org/twincities/. Video Integration is Here- Learn More About the Products You Love! Innovative strives to provide services that increase workplace productivity. In October of 2014, we implemented Smart Search, a website enhancement to help customers work smarter, not harder. This world leading search engine has been an extreme success in making an ease for online ordering. But with our company’s mission to “Make Your Workplace More Productive,” we seek to excel in providing you with resources and solutions to make your online ordering experience an even greater success. So without further ado, we have added another feature to our ordering website! 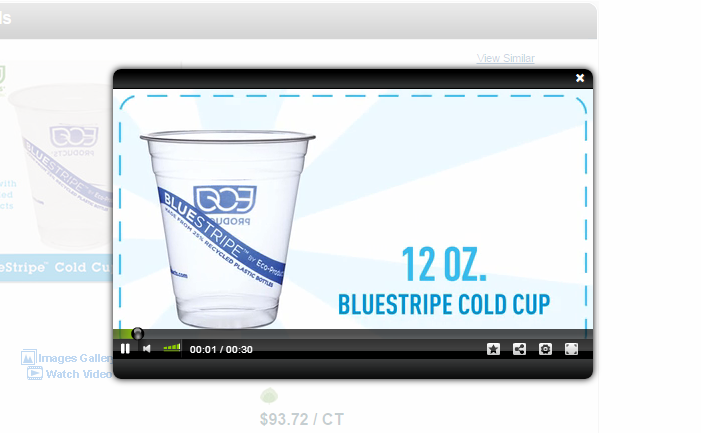 Announcing – We have integrated video footage on our ordering website. We now have over 2,500 products that incorporate video footage on the product information page, and the best part is – we have more to come! This feature will allow you to gain a better understanding of different capabilities pertaining to the product by watching the solution at work. To watch the video, follow these simple steps. 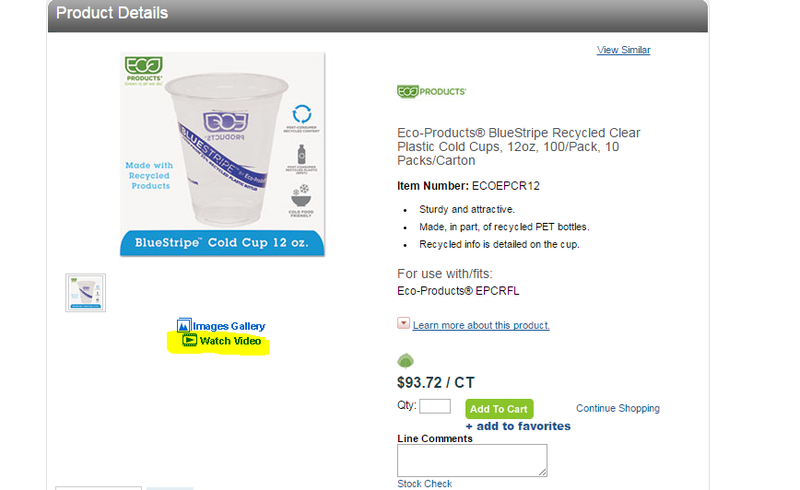 When you click on the product details, an image and description is displayed. A video box will pop up and play the informational clip. It’s that simple. We hope you enjoy this new feature to the website! As always,we have more features in the works to continually improve the experience and help you be more productive. Stay tuned! Have you been following our weekly email Word Find Challenge? If you have, here are the final two words! 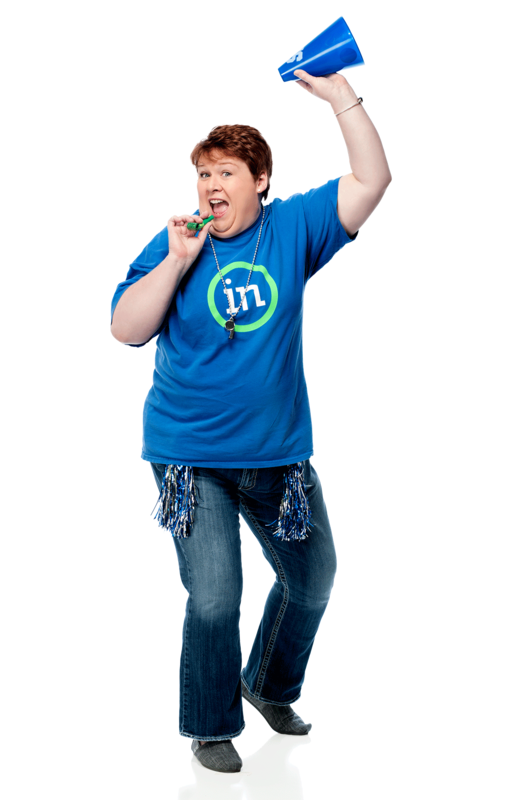 Email Bridget Martini at bmartini@innovativeos.com with your phrase to win an Innovative Prize Pack! If you aren’t signed up for our weekly promotional emails, Click Here! Thanks to all who participated!